This was an image I created in early 2000 for my "Advanced Drawing" class (I think). We were asked to create an animal that was a composite of several other animals that bore no real resemblance to each other. 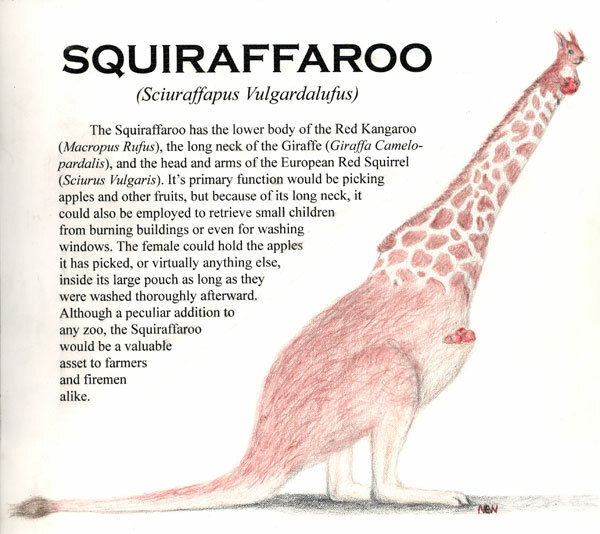 So we couldn't create an "Antbeetle," but we could create a "Squiraffaroo."